After a young whale was entangled in an Australian shark net on Wednesday - and then set free - it sparked another round of debate regarding the efficacy and safety of the shark control measure. 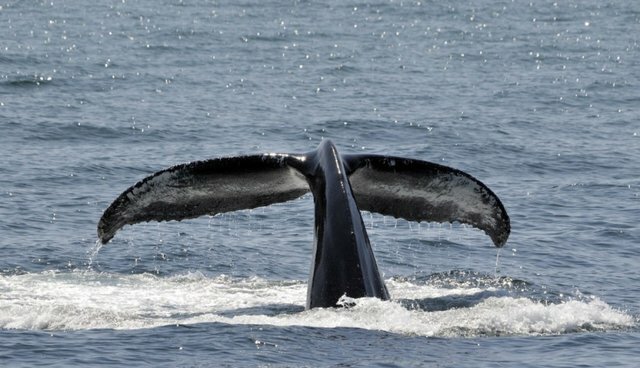 Considering it's the eighth time a humpback whale had to be rescued from a shark net this year, the nets should be taken down for the remainder of the migratory season, argues the Australian Marine Conservation Society. It's not the first time they've made their opinion known. After a humpback whale was caught off the coast of Queensland in July 2013, Australian Marine Conservation Society director Darren Kindleysides said: "Shark nets pay a heavy toll on threatened species including turtles, dolphins, dugong and whales." The Queensland Department of Agriculture, Fisheries and Forests writes on its website that the nets are "necessary to reduce the risk of shark attacks on humans," though it acknowledges the "inadvertent impact" on other marine life. Jeff Krause, manager of the Queensland shark control program, told Australian news outlet ABC, the nets are essential for preserving both human lives and the tourism industry. Whether or not the nets are as effective as the Department of Agriculture, Fisheries and Forests states is a matter of debate. In 2011, Christopher Neff, an expert on shark attack policy at the University of Sydney, pointed out that of the 38 shark attacks in New South Wales recorded between 1937 and 2008, 63 percent occurred where there were beach nets. Moreover, "no fatal shark bite incidents when the nets were removed for three years," he wrote, going on to say "in the history of shark nets, this has proven itself to be a story about people and politics rather than shark behaviour." Shark attacks, though quite rare, should be taken as a serious problem. Neff calls for increased use of signage at beaches instead of lethal options, as well as tracking the seasonal swimming patterns of sharks.